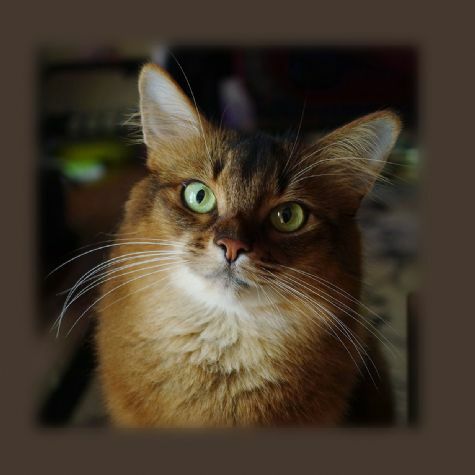 Summer is a pedigreed Somali cat, born March 19, 2014. She loves people, freeze-dried chicken treats, walking on a leash, doing tricks, and wearing dresses. She is not your average kitty.